Medilib was created with the idea of facilitating the sales process of major pharmaceutical companies, by providing materials that educated Healthcare Professionals (HCPs) about their products, while also providing materials that allowed the HCPs to learn latest developments, thinking and opinions in the field of medical science. 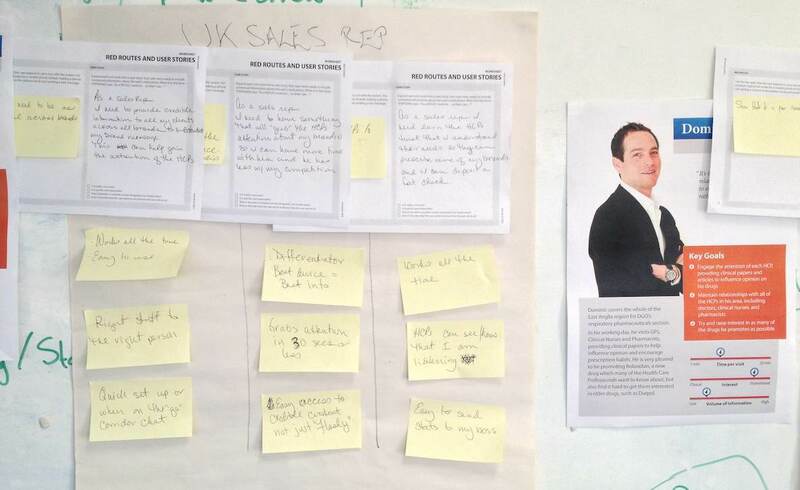 In order to get a picture of how the sales process worked, Robin and I set up a programme of research. 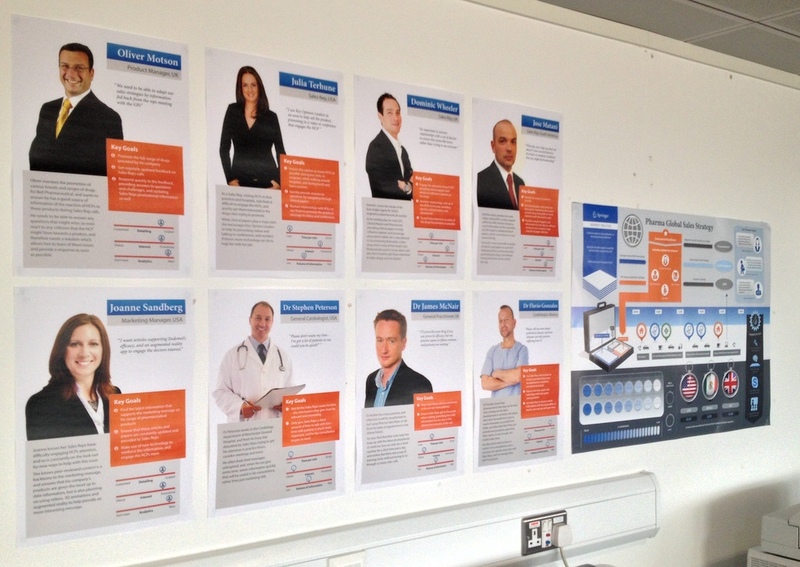 We needed to talk to people who had experience of the Pharma Sales industry. 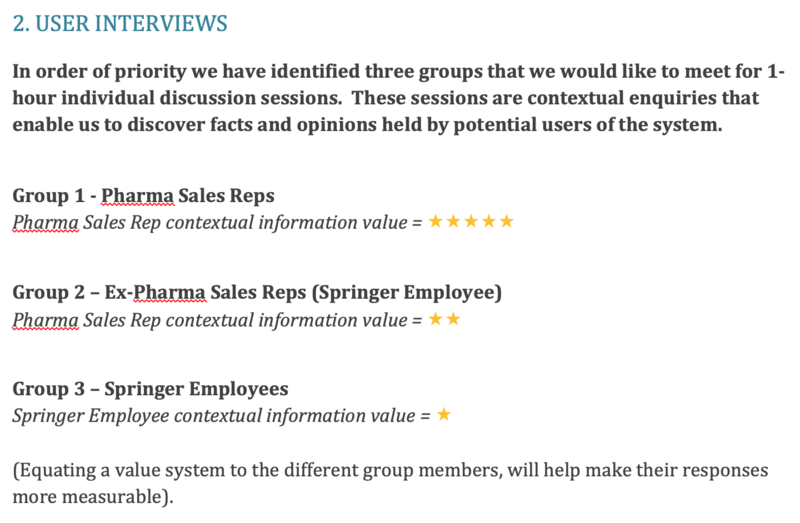 As we didn’t have direct contact with the clients themselves, as sales of our product went through our own Sales Team in Springer Healthcare, we reached out to contact actual Sales Representatives. However, we had some difficulty getting hold of working Sales Representatives, and so worked with members of our own Sales Team, some of whom had previous experience working as Pharma Sales Representatives themselves. Could you describe a typical day in your job? – getting background on their working practices, as well as analysing areas where problems might occur, or how we could provide something that may advantage them. Could you list five of your daily core goals? 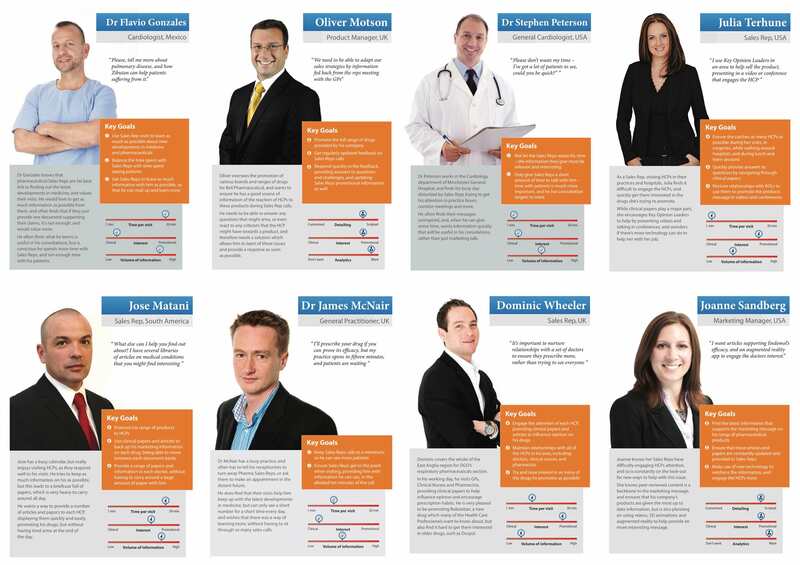 – understanding the key objectives of their work, and measuring how successful they are in achieving them. What are the things you currently find frustrating? – focussing on the problems they face, which we could produce solutions for. If you could change something, what would it be? 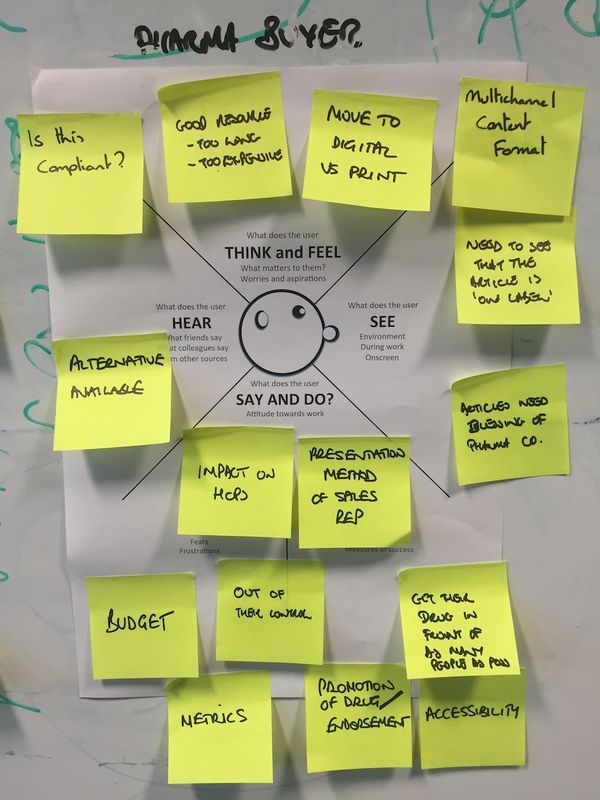 – Getting further insight into what they view as problems, and deriving the user needs from their suggested changes. 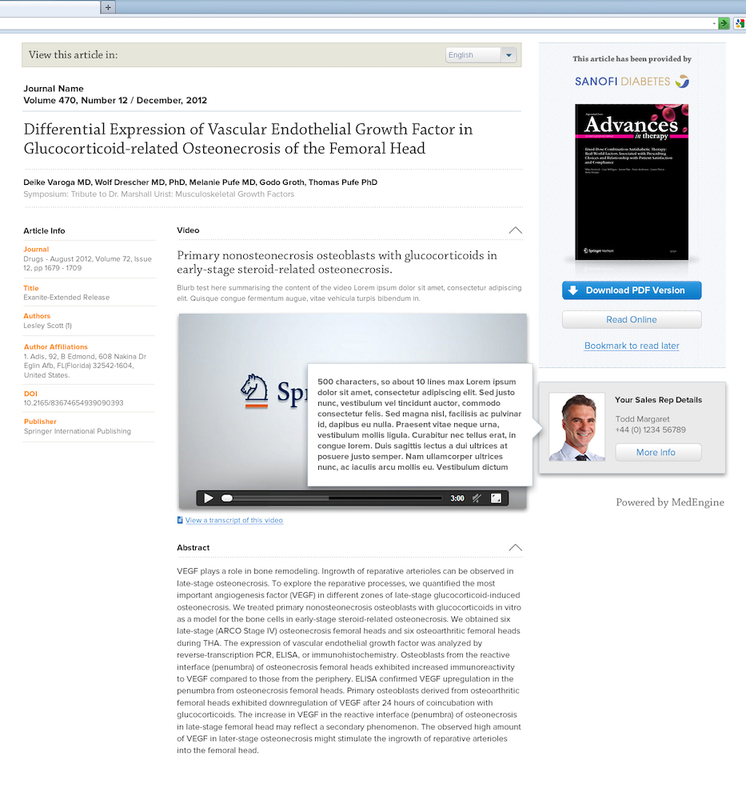 Sales Representatives have to employ complex tactics to encourage Healthcare Professionals (HCPs) to buy their products – In many countries, outwardly advertising drugs and other products to Healthcare Professionals is not allowed, and so Sales Reps have to promote their products by providing the HCPs with literature that updates them on the latest developments in their field, with editorial content that promotes the Pharma companies’ products. The experience is very different in different countries – In countries such as the USA and UK, HCPs have little time to spend with Sales Reps, and are quite skeptical about them. In other countries, such as Mexico, the publications provided by Sales Reps are quite valuable to the HCPs, as they may be the only updates they get on the latest developments in their field, and so they have more time and attention to spend with them. Drugs have a “sales lifespan” – New drugs will be more interesting to HCPs than drugs that have been around for some time, and so promoting them will be easier than promoting older ones. Sales Representatives have to navigate complex legal requirements – as well as providing information on the benefits of a new drug, Sales Representatives have to also provide information on side-effects and liabilities associated with the drugs which they are trying to sell. 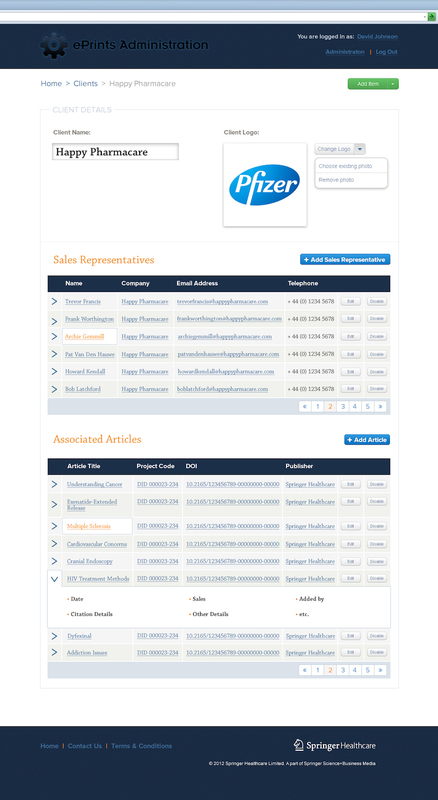 Creating a web interface – this would provide a simple way for Sales Reps to deliver materials to HCPs, just by providing a link. 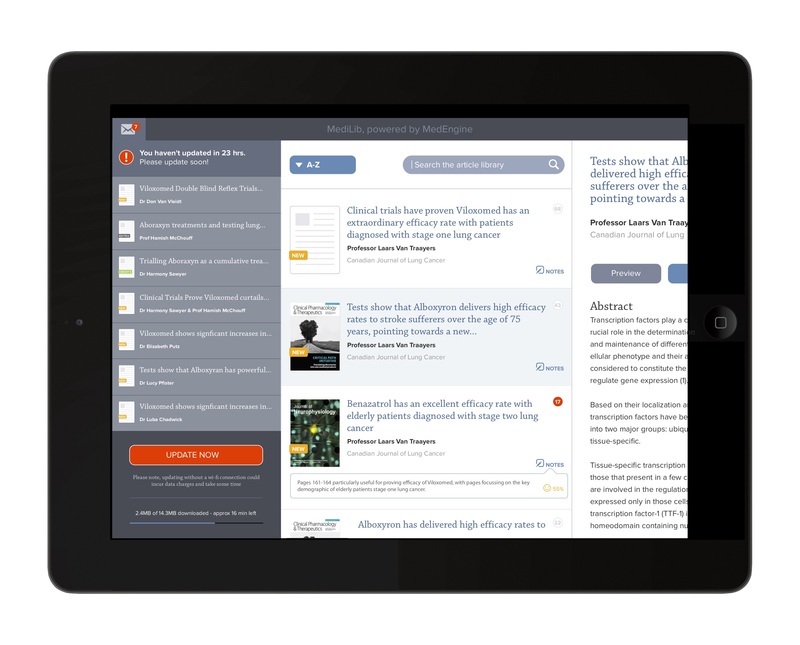 Design a library app for mobile devices – finally, this provides a way for Sales Reps to show content to HCPs in person, as well as providing a way for HCPs to easily access information after the Sales Rep has left. 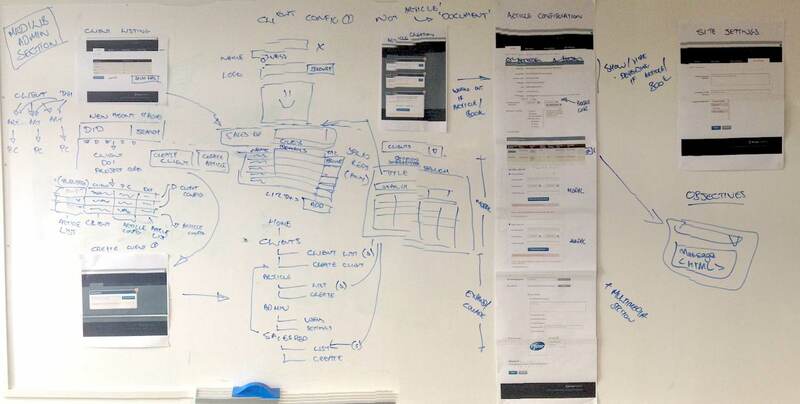 The web interface, or “ePrints standalone page” as we called it, being fairly easy to prototype and produce, provided an good starting point for us to test our assumptions, and create something which could be used by Sales Reps fairly quickly. We designed it fairly quickly, creating a framework which could be built on over time, adding more functionality over time. In order to access these pages, the Sales Rep would leave the HCP with either a code, written onto a card, or sent via email. This would allow the HCP to access the information at their leisure, reducing the pressure of trying to provide information during a short visit. 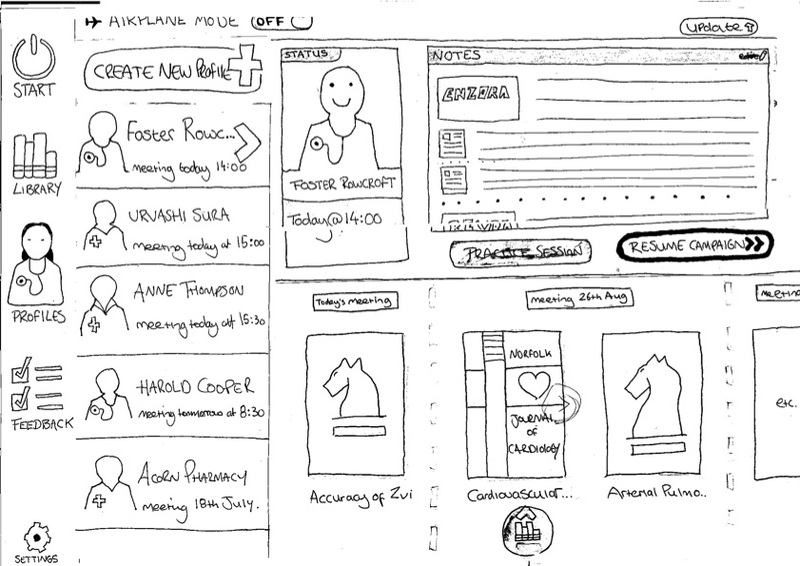 We built a prototype, and tested it repeatedly during each iteration, allowing us to improve our knowledge of the user requirements and ensure that we were building the right thing. We also added more functionality over time, providing not just text and a link to a document, but also video, interactive elements such as quizzes and more to help make the page more engaging. 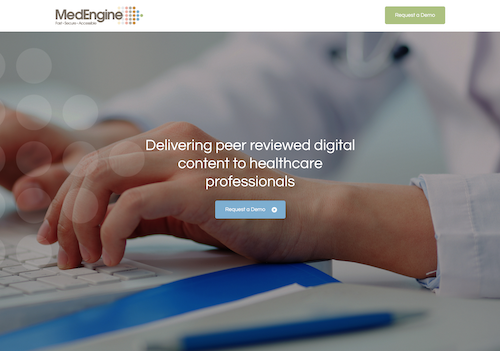 To help Pharma Sales Support Staff control each standalone page, as well as monitor use, we then developed a “back end” interface as a content management system, which we called “MedEngine”. This system would allow Sales Support Staff to understand which pages had been accessed, had items downloaded or used on the page, thereby measuring success of the Sales Reps. As restrictions existed in many countries around how much a Sales Rep could give to HCPs in monetary value, in order to prevent bribery, it also ensures that HCPs do not receive too many items by removing old ones and adding new ones. This system allowed HCPs to access information, even while offline, with regular updates to ensure that content access was kept up-to-date. 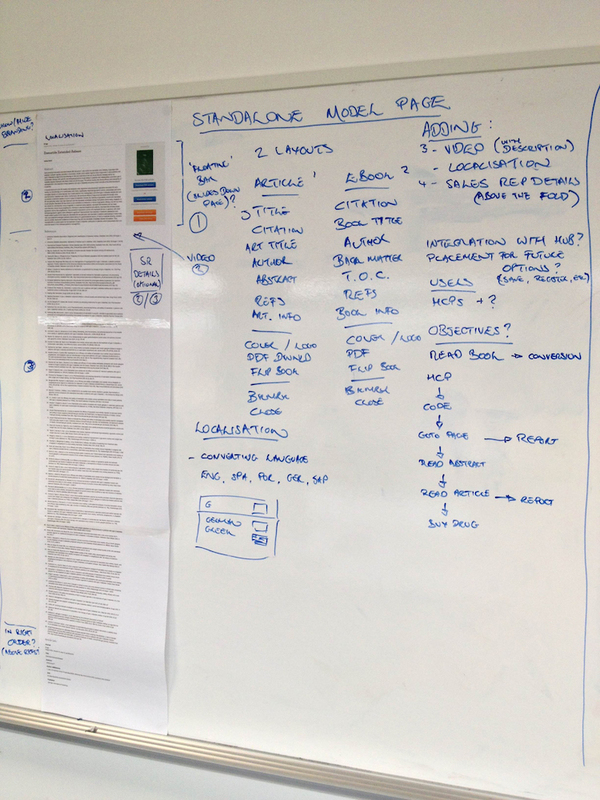 Quickly putting up a solution, which could be tested and improved, and added over a period of time, to ensure that we had a modular product that could fit the differing needs of various customer Pharma companies. Ensure that Sales Reps could get promotional materials in front of HCPs quickly and easily, without damaging their relationship to the HCP, and providing value that could be quickly and easily seen. 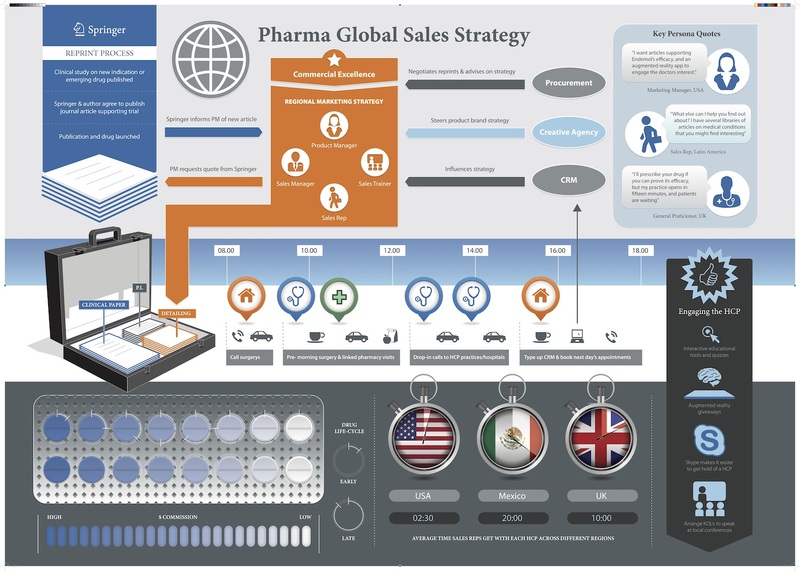 Become a “best in class” product solution in the field of Pharma sales.